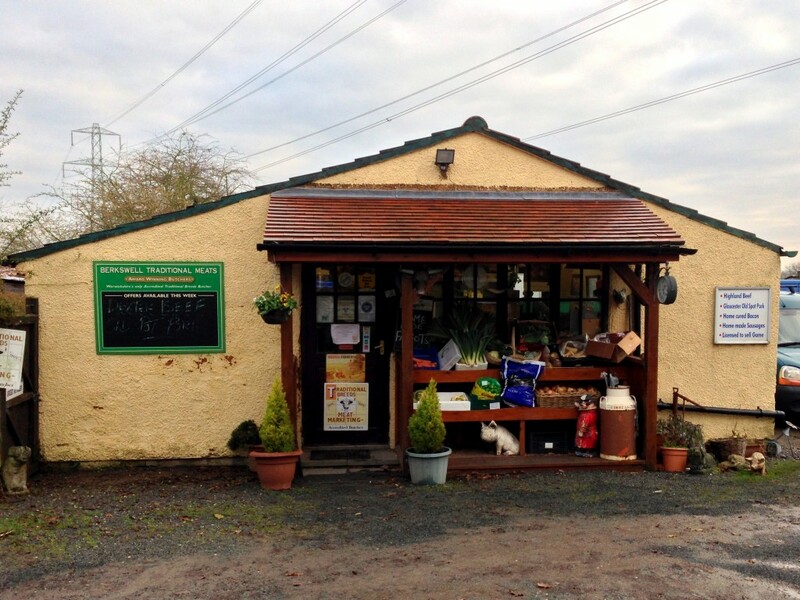 On a back lane (literally) somewhere between Solihull and Coventry in the Warwickshire countryside is our favourite butcher shop; Berkswell Traditional Farmstead Meats. Or simply Berkswell. You drive down the short gravel path to what can only be described as a hut with some other out-buildings. In that unprepossessing hut Phil Tuckey and his son Richard work their socks off to sell the best meat from farmers across the region and beyond. Phil has a deep passion for proper meat, that’s why he champions meat from rare-breed or heritage breed animals. Beef from Dexter and White Park cows. Pork from Berkshire and Tamworth pigs. Mutton from far away North Ronaldsay in the northernmost tip of Orkney Islands. These old British breeds are slower growing than the commercial mass produced meat you find in most butchers and supermarkets. They’re also generally smaller and lower yielding so it’s only really artisan butchers like Phil who deal in these meats. But once you’ve tasted a sweet Tamworth pork chop then there’s no going back to that flaccid Tesco offering. The difference between the pork that the supermarket/high street butchers have been fobbing off on us for so many years and what Berkswell offer is striking. See the pork chops in the photos below? The first set are from a Berkshire pig, the fat is almost 4cm thick on it! When was the last time you saw anything like that on a supermarket chop? That’s because these pigs have been grown slowly and allowed to get as fat as possible before slaughter. Closer to a year old than the few hormone boosted months of that other pork. On a properly fattened pig there should be slight marbling of intramuscular fat that makes every morsel succulent and delicious. But it’s not only pork. Properly dry-aged beef is a speciality of Berkswell. The 60 day aged Dexter t-bone I’ve had for my tea tonight could not be bettered by any steakhouse in the land. Dexters are getting more and more popular, they’re small but easy to grow and produce very high quality meat. Hereford and Longhorn beef is more the staple of the shop but sometimes Phil will have something very special like a White Park carcass. When they come in you can be sure that I’m not too far away. So please get yourself over there and support them. There’s no one else doing what they do in the area. Sure you have Aubrey Allen in Leamington, their beef and lamb is consistently excellent but don’t have the variety of breeds and personal service of Berkswell. They’re a small business in what is still a very niche market in this part of the country so need all the custom they can get as their location receives no footfall at all. I’ll only buy meat from here now, it’s so much better than the stuff you get in supermarkets or even high street butchers. All of the meat which we’ve bought from Berkswell has been exceptional and has not really been any more expensive than anywhere else plus you get a chance to chat through your requirements with the chaps. It’s a bit out of the way even though we live in Solihull but well worth it. Best bacon ever! Pingback: Backyard Brummies at Grillstock Bristol 2015 – KOTG Report and Rub Recipe | The Foodist.